HEINEKEN is committed to water protection. Water is important to HEINEKEN as beer is 95% water and great beer requires high quality water. That is why over the past decade the company has lowered its water usage by almost a third from 5 hectolitres of water per hectolitre of beer, and has already surpassed its original 2020 target. To fully balance within the local watershed, every litre of water used in our products in areas that are water stressed. The brewer also commits to work collaboratively with other users of the watershed so that its health is protected, which is essential for the communities around it to thrive. To maximise water circularity in water stressed areas through recovery, reuse and recycling and to treat 100% of our wastewater worldwide. To reduce water usage to an average of 2.8 hectolitres of water per hectolitre of beer (from 3.2 hl/hl) for breweries in water stressed areas and to 3.2 hectolitres of water per hectolitre of beer (from 3.5 hl/hl) on average for all breweries worldwide. Going forward, the company feels that mostly focusing on lowering water usage will not be enough. To keep a watershed healthy and communities thriving, users of a watershed should focus more on replenishing the water they use. This can be done by investing more time and effort on activities like reforestation, landscape restoration, desalination and water capture and by working closely with other water users in the protection of this shared asset. Today, of the 170 breweries the company operates around the world, 26 are in water-stressed areas. Over the last decade, the company has learned that protecting water resources requires a highly contextual approach to the specific watershed in question. That is why to fulfil this ambition, HEINEKEN is developing individual targets for each brewery in water-stressed areas and prioritising the most relevant actions for each local watershed. To realise this vision, HEINEKEN has developed a water triangle which comprises the three key focus areas the company will undertake for each brewery in a water stressed area. These areas need to be considered holistically with the aim of having the highest impact on the health of the watershed and the communities around it. While the company will continue to focus on lowering its usage of water by improving water efficiency in its operations, greater focus will be placed on water circularity (the reuse and recovery of water), and water replenishment and collaboration. While there is much work ahead to fulfil its vision, HEINEKEN can build on experiences acquired in the last decade. Today HEINEKEN is already undertaking water-balancing programmes in several water stressed areas across the world. For instance in Spain, 1 billion litres of water are restored yearly through a wetland restoration program in Doñana, in southern Spain. In Malaysia, the company is investing in rainwater harvesting projects that will help communities save water. In Indonesia, HEINEKEN works with employees and communities to install ‘biopori’ holes: narrow, meter-deep pits dug into the soil and filled with vegetable scraps and compost material. By slowing rainwater runoff, biopori holes preserve water and prevent flooding. 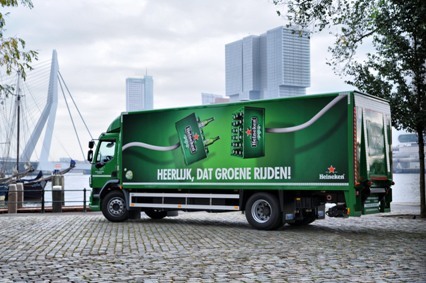 Over the years, HEINEKEN has also learnt the importance of collaboration. As many users tap into shared resources, maintaining the health of a watershed also has to be a shared effort. In Mexico, through the Monterrey Water Fund, the company is working collaboratively with others in reforestation. Newly planted trees have absorbed more than 450 million litres of water; helping to mitigate flooding and improve water infiltration. In Indonesia, as a consequence of working alongside the United Nations Industrial Development Organisation (UNIDO), HEINEKEN is part of a water alliance (‘Aliansi Air’), in which government, businesses, NGOs and local community groups work together on water conservation and pollution reduction in the Brantas river basin. Today HEINEKEN already treats 96.5% of its wastewater worldwide, returning it clean to the environment. The company aims to go one step further by increasingly reusing treated wastewater in its own operations and sharing treated water with other users. In addition, as most of HEINEKEN’s water footprint comes from agriculture, it will initiate a number of pilot projects in areas which depend on irrigation in order to grow more barley with less water. The brewer will also be working with farmers to improve farming practices and test seed varieties that are more drought tolerant and disease resistant. HEINEKEN has been a signatory of the UN CEO Water Mandate since 2009 and is an active member of the Beverage Industry and Environmental Roundtable. 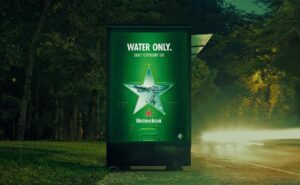 Hey Buddy!, I found this information for you: "HEINEKEN announces ‘Every Drop’ water ambition for 2030". Here is the website link: https://www.duurzaam-ondernemen.nl/heineken-announces-every-drop-water-ambition-for-2030/. Thank you.